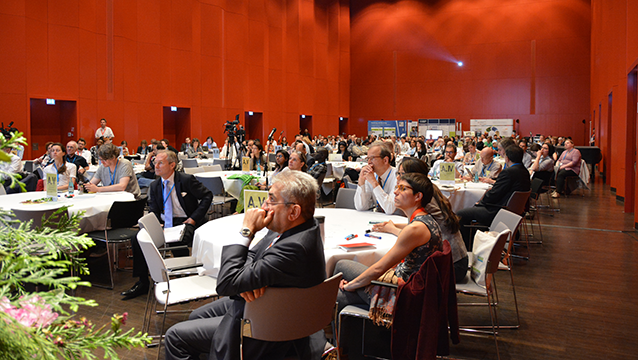 Over 400 participants and a hundred more tuning in remotely from over 50 countries discussed how the sustainable use of environmental resources can be more successful by using linked approaches at the Dresden Nexus Conference (DNC2017). 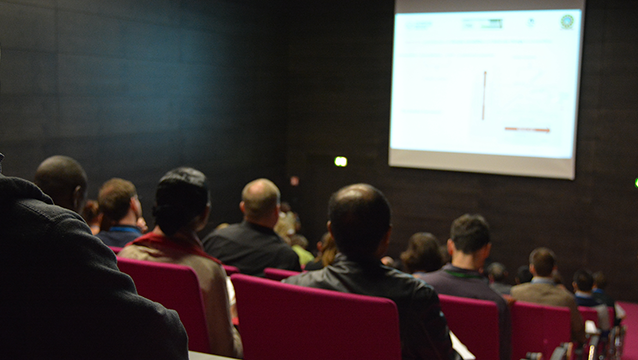 From 17 to 19 May, the United Nations University (UNU-FLORES), the Technische Universität Dresden (TU Dresden), and the Leibniz Institute of Ecological Urban and Regional Development (IOER) organised the second edition of the conference in the Deutsche Hygiene-Museum Dresden. For the former Hungarian Ambassador to the United Nations, Csaba Kőrösi, the meeting is the best forum on the subject in Europe. Dresden, 19 May 2017. 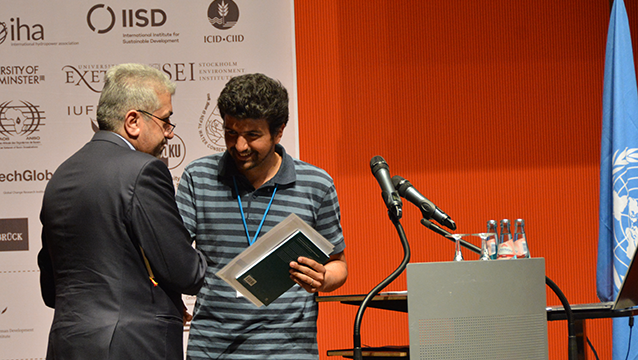 – Intense conversations, an inspiring atmosphere, interactive discussion formats, insights into numerous practical examples, and the exchange of experiences with many like-minded people – after three days, the second biennial Dresden Nexus Conference comes to an end, leaving many impressions for the over 400 participants. The international experts from more than 50 countries enjoyed an intensive programme across three days: six keynote speeches by renowned scholars, 88 lectures spread over 16 sessions, 65 poster presentations, and case studies from China, Germany, Qatar, Kenya, Tunisia, and Viet Nam provided insights into the science and practice surrounding the Nexus Approach. The aim is to sustainably manage vital environmental resources such as water, soil, and waste by overcoming the boundaries between sectors and scientific disciplines. The resources themselves are also interrelated and cannot be addressed separately. 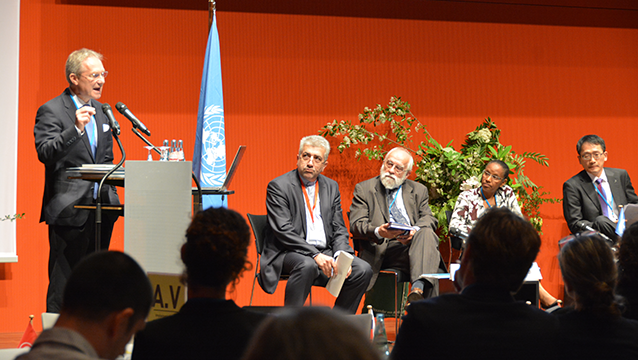 At the core of DNC2017 was the question, how the Nexus Approach can contribute to the implementation of the Sustainable Development Goals (SDGs) and the New Urban Agenda of the United Nations, and how monitoring measures are involved. The contributions for science and policy focused on examples related to multifunctional land-use systems and resource management in resilient cities and urban areas, as well as cross-thematic content. “The Dresden Nexus Conference is the best forum in Europe, to discuss important questions concerning the sustainable management of environmental resources,” said His Excellency Csaba Kőrösi, former Permanent Representative of Hungary to the United Nations in New York, and co-chaired the UN Open Working Group on Sustainable Development Goals, who now heads the Directorate for Environmental Sustainability in Office of the President of the Republic of Hungary, in his closing speech. In addition to the many positive impulses the participants took home with them, the challenges identified during the conference were clearly linked to the topic. The integrated management of environmental resources is still, above all, a topic discussed in science. However, for the broad implementation of linked strategies in practice, it really comes down to the people, as mentioned in one of the final speeches. Above all, the findings from science, the good initiatives and ideas must be communicated to the right actors – political decision makers as well as local stakeholders and representatives of the business community. In science itself, the discussion around the approach should be more interdisciplinary and, for example, the social sciences should also be more closely involved. It is not just a matter of linking different professional topics. At least as important is the cooperation of different stakeholder groups. From the beginning, they must be involved in the deliberations and planned implementation projects – appropriate integrated formats and governance structures are also required. “The Nexus Approach must now leave the scientific laboratories and be put into practice,” also urged Ambassador Kőrösi in conclusion. The organisers of the conference, UNU-FLORES, the Faculty of Environmental Sciences of the TU Dresden and the IOER are aware: till the next DNC in 2019, many challenges remain that scientists can tackle together with practical stakeholders. 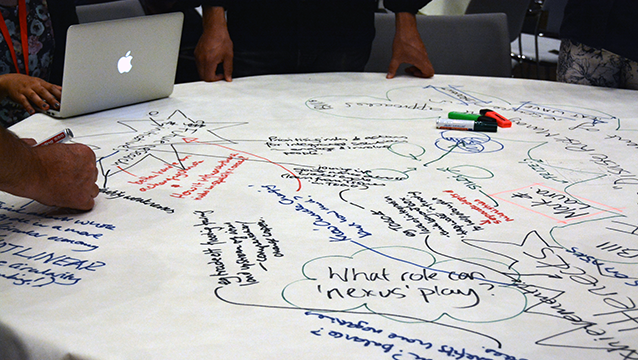 What is the “Nexus Approach”? The goal of the Nexus Approach is to manage environmental resources sustainably. In order to achieve this, it is necessary to overcome barriers between individual sectors and scientific disciplines to jointly develop cross-sectoral strategies. The approach is based on the understanding that individual environmental resources are closely linked. If these relationships are taken into account, this can lead to more resource efficiency, while at the same time environmental risks and ecological degradation may be minimised. Download the full version of the press release here (EN/DE).